We are pleased to announce that we can now be found on Thumbtack, the easiest place for businesses and individuals to locate professional services in the local area. Blue Group Solutions services customers nationwide, however we especially pride ourselves with being a local business. Headquartered downtown Indianapolis. 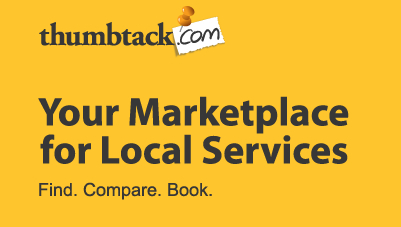 Thumbtack is a great service for service providers and individuals alike. We were especially impressed by the level of verification they have (you can purchase a background check) that puts companies seeking professionals at ease when looking for reliable provider to work with. What also makes this service stand out among others is the level of questions available in the profile. They ask such things as what do you enjoy most about your job, what questions customers frequently ask you, etc. This allows us as a small business to stand out among the crowd and build a personal connection with potential customer before they ever speak to us.